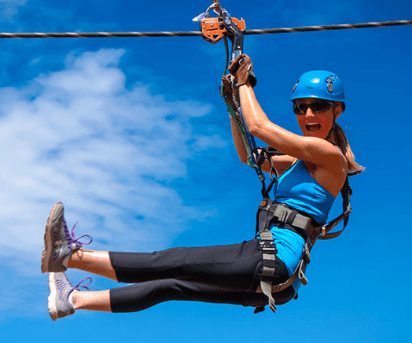 Get ready for an amazing, gravity defying zipline experience. Diamante Eco Adventure Park is launching the biggest and Longest Dual Action Ocean View Zip Line in Costa Rica. Designed by the leading Adventure Playground, this zip line has the state of the art carbon fiber technology, delivering a safe and thrilling experience. This zip line is nearly a mile long and almost 80 stories high ! The interesting thing with this ride is that it is dual-line – so, two people can try it out simultaneously. Situated between two mountain peaks, this zip line provides an awesome view of the jungle on one side and the blue ocean on the other. Situated along Matapalo Beach in Guanacaste, the park is basically a one-stop shop for all things adventure in Costa Rica. In addition to this, the other attractions include a climbing wall and a 30-foot Tarzan Swing. After all that adventure, you can replenish the batteries with a grand buffet ( $14).